A Huge selection of books for you to choose from. 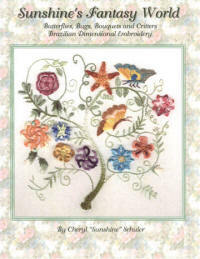 Brazilian Embroidery books, Silk Ribbon , Punchneedle Books, Books about Beading, Stumpwork Embroidery books and more! If there is a book that you would like and you do not see it listed - please let us know and we would probably be able to get it for you. 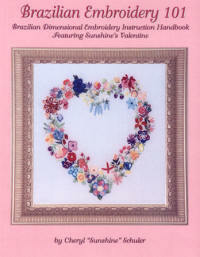 A complete listing of all the embroidery and stitching books that JDR-BE carries is listed below. Look at the title and the number in front of it. If it is BK-_101 It should be the first page of that letter. Drop the "The" , "A"s etc. Then all of the titles are alphabetical by title.